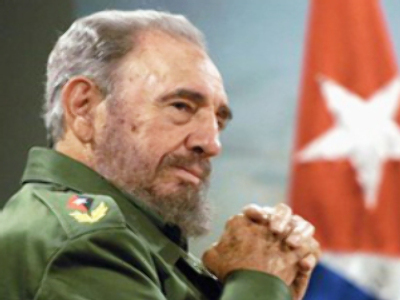 In a statement published online, Castro praised his brother’s handling of the issue. 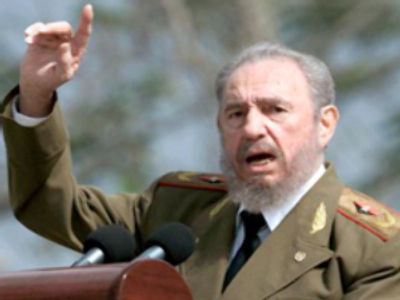 Fidel’s younger sibling, Raul, is the acting Cuban president. “Raul did very well in his dignified silence about the bases for the Russian strategic bombers in our country,” 81-year-old Castro said. The strategic bombers referred to are Tu-160s, long-range Russian strategic supersonic bombers, nicknamed “White Swans”. It has been mooted that they could refuel in Cuba during flights over the Caribbean. The possibility of restoring permanent Russian military bases on the island has also been raised. Castro’s comment comes after Russia’s Izvestia newspaper published an article quoting an unnamed Russian Air Force military official. He said Russia was considering using Cuban aerodromes for refuelling nuclear-capable bombers patrolling areas close to the borders of the U.S. However, the permanent deployment of the Tupolev Tu-160 and Tu-95 strategic bombers in Cuba would be senseless from the military point of view, the source at the Russian Defence Ministry told Interfax. The development could be seen as a response to Washington’s moves in Eastern Europe. The U.S. seems determined to build an anti-missile defence shield close to Russia’s borders. Russia regards this ABM system as a direct threat to its security, as the proposed radar will enable the US to scan all of Europe and Russia at the very least. In addition, Moscow says it’s unacceptable that the silos for themissiles in Poland could be used to launch other kinds of weapons. Washington has reacted nervously to the news that Russian military bases could again be a reality in Cuba. Memories of the 1962 Cuban missile crisis still haunt America. Back then the U.S. and Soviet Union confronted each other after the discovery of Soviet missiles on the island just 144 km south of Florida. The crisis lasted two weeks and nearly turned the Cold War into a real one. The emergency eased when both sides made concessions: the Soviet Union took down the missile pads on Cuba in exchange for a U.S. pledge not to invade Cuba and to close down U.S. missiles sites in Turkey. The man nominated to be the next Chief of General Staff of the U.S. Air Force, General Norton Schwartz, has responded to the article in Izvestia. He told the U.S. Senate that if Russia went ahead with the Cuban proposals, Moscow would have crossed a ‘red line’, a step that would be unacceptable to the security of the United States.